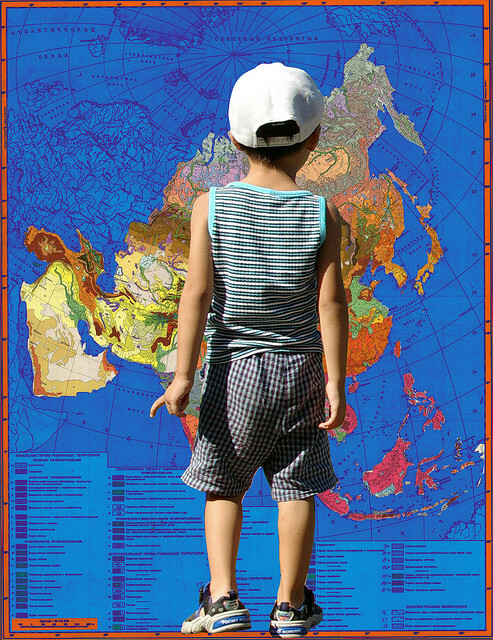 There is certainly no shortage of material to help teach kids English as a second language. There are so many resources that you can use, some parents and teachers might not know where to start. With that in mind, we have sorted through what we think are the best ESL DVDs, apps, books, websites and language learning systems for kids that help with the wonderful journey of learning a new language. DVDs are an easy way to get kids familiar with English. Of the DVDs that we checked out, our top picks for the best DVDs for help teach kids English at home are Little Pim: Volume One English/ESL and the LeapFrog: Learning DVD Set. If you are looking for a DVD, a good place to start is with the Little Pim: English DVDs. Little Pim have lots of videos to choose from for ages 0-5. You can buy them individually or in sets. Each DVD is thirty-five minutes long and includes seven episodes that combine an animated portion with Little Pim the Panda and a portion narrated by Little Pim that shows real children demonstrating the word or phrase that is being learned. This series is generally pretty good quality and fun for kids to watch. If you are looking for something a little more advanced, you can’t really go wrong with any of the LeapFrog letter or number videos. They are very popular with anyone teaching kids letters, words, numbers, etc. They are entertaining for kids and very educational. These are highly recommended for kids learning English. Another good resource is the Sesame English: ESL for Children series of DVDs (if you can get your hands on it!). It seems to be discontinued so check your local library and there a couple of places selling it here or here. YouTube also have a few clips of the Sesame Street ESL series. Mingoville is an online-based course featuring fun English games, grammar, songs, and more. You can try the site for free and if your kids like it then you can upgrade to a paid membership for $24 for 3 months or $48 for a year. ESL Kids Lab has ESL teaching materials for kids from k to 12. It also has video lessons. DinoLingo English for Kids – Learning English for Children DVD Set is a language learning program for kids that uses DVDs, books, CDs, flashcards, and online lessons. English 4 Kids has ESL teaching materials, resources for children, parents and teachers of English. It also has games and activities for ESL kids. English Classroom also has ESL teaching for young learners. Anglomaniacy is a great site for kids who are learning English. Includes picture dictionaries, basic English vocabulary, grammar for kids, online word games, tests, etc. ESL Kids is a wonderful free ESL website for kids. It has flashcards, handwriting worksheets, classroom games and children’s song lyrics. ESL Games Plus offers interactive online games for learning and teaching English as a Second Language. English Language Games has some fun letter, colour, number, writing, etc. games. Intro to Letters is a very highly rated app that covers the basic foundations of language, how to read, write and understand letters from a-z, lowercase letter symbols and their sounds (phonics) phonograms – writing and pronunciation capital letters – letter names, writing and pronunciation, and consonants and vowels. Kids learn English with Busuu helps kids learn 150 words, taught across 30 learning units full of educational games. Each lesson follows a 5 step methodology to gradually help your child learn vocabulary, spelling and phonetics. Adventures for Kids helps kids develop an English vocabulary by following characters on adventures through space, the zoo, the farm, the city, etc. Simplex Spelling Phonics 1 is a very highly rated app that teaches English spelling and reading skills by using a combination of phonics lessons, spelling/word patterns, and contextually relevant spelling rules. Word BINGO helps kids learn sight words (sight words are words that are recognized immediately (on sight) without phonetically decoding or sounding out parts). Sight Words Hangman uses 300 sight words in a hangman game to help increase kids vocabulary, spelling and reading levels. SentenceBuilder is designed to help elementary aged children learn how to build grammatically correct sentences. Flashcards for Kids has 1,500 picture flashcards to help boost kid’s English vocabulary. Duolingo is a free language learning app. It’s designed for adults but can be good for kids as well. Let’s Learn English Picture Dictionary (for ages 3-8) contains more than 1,550 commonly taught basic words that are displayed on pictures scenes such as home life, the classroom, city life, sports, the zoo, outer space, etc. This picture dictionary also includes an index and glossary of all the individually illustrated words. ESL Activities and Mini-Books for Every Classroom is a quick and easy guide that is designed for teachers with kids who can’t speak English, but it can also be helpful for parents of ESL kids with tips and activities for kids in Grades 1-4. ESL Kids has over 40 popular children’s songs and nursery rhymes in this section, many of which can be found on YouTube if you don’t know the melody of need ideas for gestures. Anglomaniacy has a list and some audio clips and lyrics of some of the most popular English songs for kids. Here are some fun toys that we found that are helpful to young ESL learners. ThinkFun What’s Gnu is a fun game for younger players to practice their word recognition and spelling skills. Players slide the “Letter Getter” forward to reveal two letter tiles, and then use them to create three-letter words by filling in the blanks on their Word-Starter cards. The player who spells the greatest number of words wins. Sentence Building helps develop early grammar and reading skills with sturdy, interlocking cards that cover parts of speech, capital letters, punctuation, building sentences, etc. Tailor activities to different learning levels with this set that includes grammatically color-coded cards (55 word, 4 punctuation, and 27 photo cards), game ideas, sample sentences, and teaching suggestions. DK Games: Silly Sentences (for ages 4-7) is a game that has puzzle pieces for making sentences. The sentence structure is enforced by the way the puzzle pieces fit together. ESL teachers seem to like this game for their students although lots of complaints that there aren’t enough verbs in it. Sentence Scramble: For English Learners of All Ages! Primary, ESL & Ell is designed to teach the basic structure of simple English sentences. The object of Sentence Scramble is to make as many sentences as possible with a set of word cards. The cards are printed on both sides, color coded, and include nouns, adjectives and articles, verbs, adverbs, prepositions, and pronouns. Zingo Sight Words uses the game of bingo to help kids learn to recognize sight words. Kids will learn to read common sight words. First Words Flash Cards (Brighter Child Flash Cards) is a set that features 54 cards that help reinforce phonics, letter recognition, and reading readiness skills with full-color illustrations. A special card also offers creative game ideas designed to reinforce learning. Picture Words Flash Cards can help your child learn basic words. Each card presents a word, plus a colorful picture representing that word. There is also a Parent Card that suggests many games to help your child learn letters and words. Cut & Paste Sight Words Sentences helps beginning readers master over 100 sight words using the unique, hands-on approach in this resource. Step-by-step directions tell how to use the sight words on each reproducible to teach an entire lesson reinforcing sight word recognition, sentence structure, vocabulary development, and higher level comprehension skills. A Montessori education is devoted to helping each child achieve his or her potential and develop a lifelong love of learning (who doesn’t want that for their kids?). The Montessori approach lets children learn at their own pace according to their own choice of activities. Perhaps surprisingly to some, the principles can easily be used at home as well as in schools. With that in mind, here is our little overview DIY guide to help get you started with Montessori methods that you can try out on your own without forking out the thousands of dollars in school fees. A good place to start in your DIY Montessori adventure is by checking out some of these popular books. They give you lots of ways to bring the Montessori ideas into the home. Teach Me to Do It Myself: Montessori Activities for You and Your Child – This is an easy to follow book with color photos showing how to do basic Montessori activities at home, and it also suggests inexpensive ways to make activities. The book is easy and pleasant to read; it’s in colour and has plenty of photos. Maybe Montessori this is an amazing site that is written by a mother who is documenting “our adventures in homeschool preschool the Montessori way (with a little Charlotte Mason thrown in for good measure)”. This site blows my mind. Living Montessori Now has tonnes of great info on Montessori Method and DIY Montessori activities. You can also learn how to use Montessori principles and methods in parenting, and life in general. Homemade Montessori is another incredible site if you are thinking of using the Montessori method in your life at home. Lots of great tips, ideas and activities listed for you to try out. After checking out the books and the websites you can start putting the Montessori theories into practice. Here are a few good toys to help get you going if you aren’t quite up to making your own activities yet: Practical Life Practical life activities are methods that teach the child to learn how to do everyday living activities in a purposeful way. Schylling Little Helper Broom Setis a child sized broom set helps encourage children learn to clean up their own messes, and acquire the habits of mental and physical order. Melissa & Doug Deluxe Latches Board is an good cost effective alternative to the Montessori Locks and Latches Sets. The Montessori Locks and Latches Sets can cost over $100 so the Melissa and Doug set is a much more reasonable price at around $20. Sensorial These are material that will help a child develop and refine his or her five senses. Plan Toy Geometric Sorting Board this is a great tool for teaching shape recognition and early geometry. It also helps to teach color and pattern recognition through play. This sorting board has four different wooden shapes in four bright colours. Kids match the correct shape with the correct number of holes to the corresponding wood pegs. Sorting is important in the Montessori method because it help children understand that things are alike and different as well as that they can belong and be organized into certain groups which ultimately helps with math skills and numeric concepts. Montessori Cylinder Blocks a great Montessori tool, unfortunately they are a little pricey but the reviews are very good for this toy. The cylinders are well crafted and a child can learn about sequencing, geometry, weights and shapes. Primary Montessori has a great lesson on how to use cylinder blocks. Montessori Lower Case Sandpaper Letters w/ Box can be used to help familiarize kids with the look and sound of each letter while the child is also developing muscle memory of the letters in preparation for writing. To use them trace one of the letters with your pointer and index finger while saying the sound of the letter. Do this several times so that it is very clear to the child what you are doing. Then have the child trace the letter, the same way you just did. As they are doing this continue to make the phonetic sound of the letter. 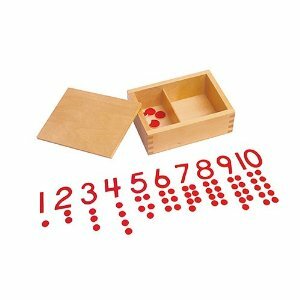 Kid Advance Montessori Cut-Out Numeral and Counters can help to teach kids some of the basics of counting and numbers. More specifically it reinforce the sequence one to ten, gives another perceptual experience of quantity as a collection of separate objects and also can help introduce the concept of odd and even. There are a number of Montessori apps available, although we’re not totally sold on the idea. One of the basic ideas of the Montessori method is the hand on learning approach, so it is worth questioning whether you will get anything like the same experience or result from these apps. It is actually a bit of a controversial topic that you can explore a bit further if you go Maria Montessori.com. 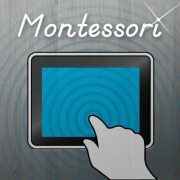 But people love the apps, so here are some of the most popular Montessori apps you can check out if you are so inclined and you can make up your own mind. Montessori Crosswords – Spelling With Phonics-Enabled Alphabet develops spelling, reading and writing skills using a phonics-enabled Movable Alphabet. This app has had good reviews in New York Time, Wired, Geek Dad, Common Sense Media and was a Children’s Technology Review Editors Choice in 2011. 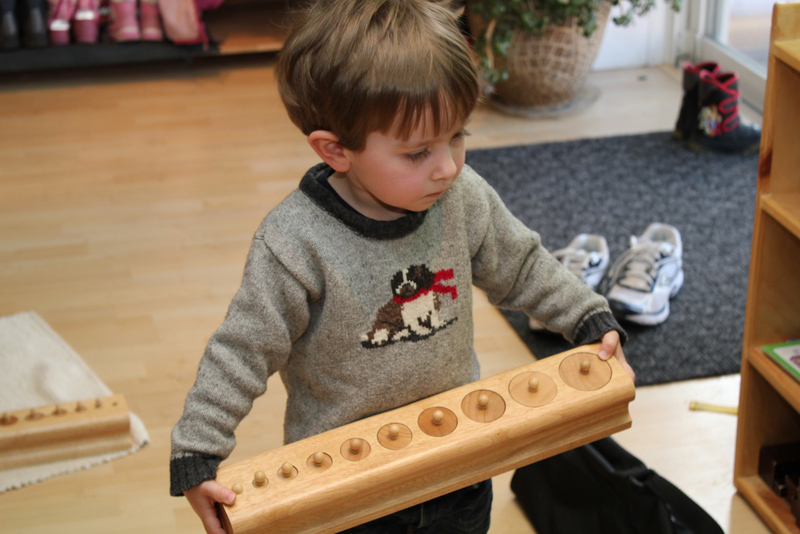 A Montessori Approach to Math – Hundred Board Lite helps children with their counting from 1 to 100. The board and the number squares are replicas of Montessori classroom materials. Teaching kids to read can be so rewarding, and yet so incredibly frustrating at the same time. 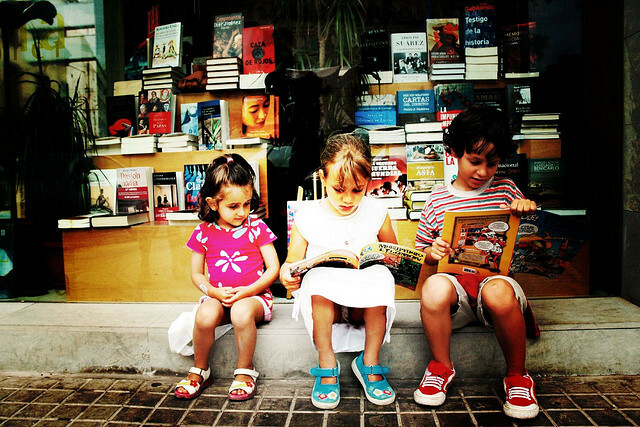 It might seem that everyone else’s children are reading earlier or are finding it much easier than your kids. If that is the case, you are probably looking for a bit of extra help. If you are then great news, because we have the secrets to teaching kids to read that other parents might not be telling you about. There are some amazing product available that you need to be aware of that will get your kids reading successfully in no time. Since the ‘Phonics’ marketplace is pretty swamped, we have put together a little guide to help get you started with the best free websites, best system, DVDs, books and apps that we could find that can help kids learn to read in a fun and hopefully stress-free way. If you are looking for a DVD that will help your kids learn their phonics sounds LeapFrog: Letter Factory is the DVD to get. It won’t teach it won’t teach your kids to read, but it will give them a great start by teaching them their phonics sounds. If you have younger kids, getting this DVD is a perfect place to start. It basically teaches children the phonic sounds of the alphabet in an entertaining, easy, and fun way. You and your kids will be singing the songs and your kids will learn exactly what sound each letter makes. It is a great foundation for pre-reading and it is an amazing teaching tool disguised as entertainment and your kids will love it. 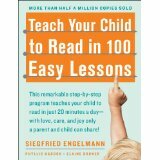 Teach Your Child to Read in 100 Easy Lessons is the book to get if you really want to get your kids reading. This book is amazing if you can find 20 minutes a day for 100 days and are willing to put it the time and get the lessons done – it really does work. A bit of a warning though, there is a good chance your kids will not want to do the lessons because they aren’t bundled up in a cute package with super kid friendly illustrations and you will have to be creative in getting them to do the lessons, but if they do the scripted lessons when they are finished they will be reading at a second grade level (second grade!). If your kids are starting to recognize phonics sounds and you want to get them some story books to practice with you should look for books that are known as ‘phonics readers’. The British book company Usborne have a really good set but they don’t seem to be easy to find in the U.S, you can look for some like StarFall’s Learn to Read series. There are a few free phonics websites around, we checked out ABC Fast Phonics, Progressive Phonics and Starfall. The site we liked the best that offer free phonics resources was Starfall. Some of the paid sites (ClickNKIDS.com, Time4Learning.com) have free lessons that you can find on the sites, but we are just reviewing the fully free sites in this section. Starfall is a free website that teaches children to read with phonics by using phonics games and online interactive books. 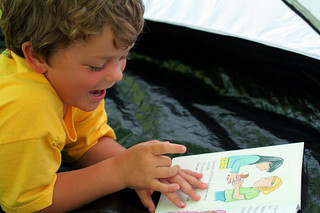 Kids can learn pre-reading skills that help the gain the skills to eventually read short online books. With this site kids are able to practice letter sounds, word recognition, and reading comprehension by going through the sites wonderful online books, songs, and games. The site actually reads the books back to the child and it offers lots of resources for parents and teachers. They also have a paid version for home or school. The two Phonics Systems that we narrowed our search down to were ClickN KIDS and Hooked on Phonics. Ultimately we choose ClickN KIDS, mostly because of the cost and partly because it has been a top ten reviews winner for six years on Top Ten Reviews in their learn to read software category. If you would like to see the differences between the two programs check out Eve’s Best for really great comparison between Hooked on Phonics and ClickN KIDS. Two of the biggest players in ‘the learn’ to read educational toys area are Leapfrog and V-Tech. Both companies have lots of different toys or systems that you can choose from that are, for the most part, pretty reasonably priced. If your child is just starting out and is still learning the phonics sounds a toy that you should definitely consider is the LeapFrog Fridge Phonics Magnetic Alphabet Set. You really can’t go wrong with this super popular toy, it’s cheap, it really does teach kids their sounds and it is a great first step to learning to read. If your kids know their sounds and you are looking for something a little more complex to help get them reading you might want to consider the super popular LeapFrog LeapReader Reading and Writing System. People love this system, but the only drawback is that you have to keep buying books for it. Mr Thorne Does Phonics is a really interesting site that features videos that help kids learn to read by introducing phonics. The videos were created by a primary school teacher in England. This site was named the number 1 site to make you smarter (children category) by The Times.